Our High Quality Leadership and Management Support, Reflective Supervision, Mentoring, Coaching, Training, Professional Development services are tailored to your unique service and needs. We listen and work with you collaboratively to meet your goals using a solution focused, strengths-based approach. By engaging with you and listening to what will assist you to move forward in the valuable work you do with children and families we will inspire you through supportive partnerships that will strengthen you, teams and the children and families you work with. Our work ensures that you are provided with the Highest Quality Service that truly meets your strengths and needs to enhance individual and/or team goals. Q: What did you learn today that you will take back to your practice? To improve the quality of early childhood education and therefore children’s educational outcomes by improving the wellbeing and professional practice of early childhood educators. To engage, inspire, support and strengthen those working with young children and families to support and enhance staff capacity and professionalism. 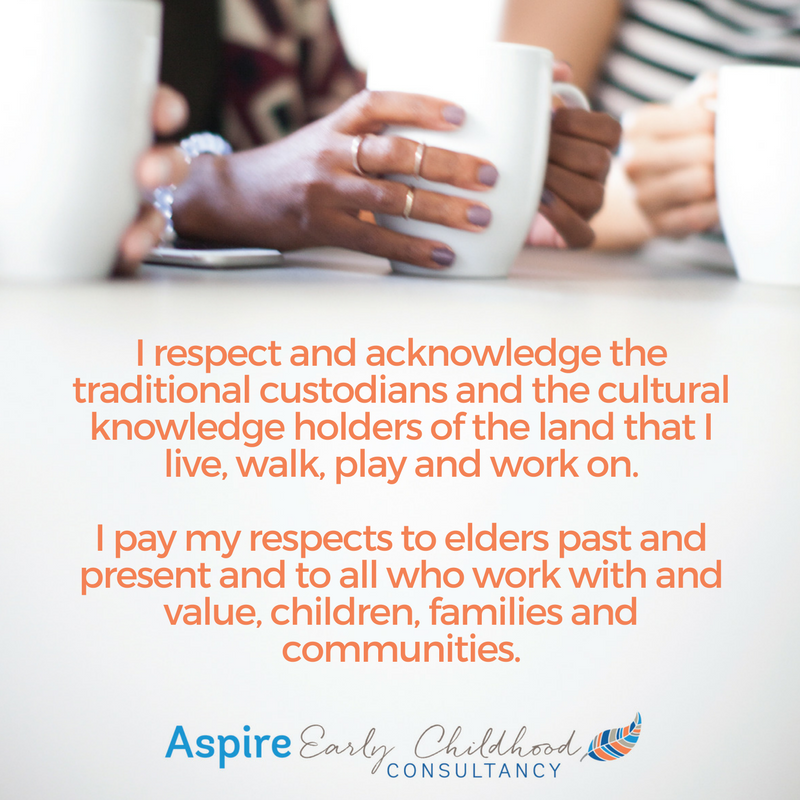 We motivate our clients to be actively engaged in reflective practice to grow in their professional skills and knowledge when working with young children, families and communities.